South Oakland is a concrete jungle flooded with scurrying oversized sewer rats and an occasional RatDog chewing on some broken glass and rusted oil cans. But the ruler, the lord, the king of the concrete jungle is none other than Big Cat. Many moons ago a very strong stork flew to a small residence in Maine and dropped off a babe. To the parent’s surprise, this babe was not only one with tremendous length, but beautiful locks flowed from its head. This babe did not resemble a human, but rather a Baby Cat. Pre-school was difficult for Young Cat. He was too quick, too large, and too fly that he stole all the honeys from the other kids. The other boys raged with jealousy as this large feline won at all aspects of life. This transferred all the way into high school as Big Cat dominated on the Frisbee field and the basketball court as “the truth” was born. 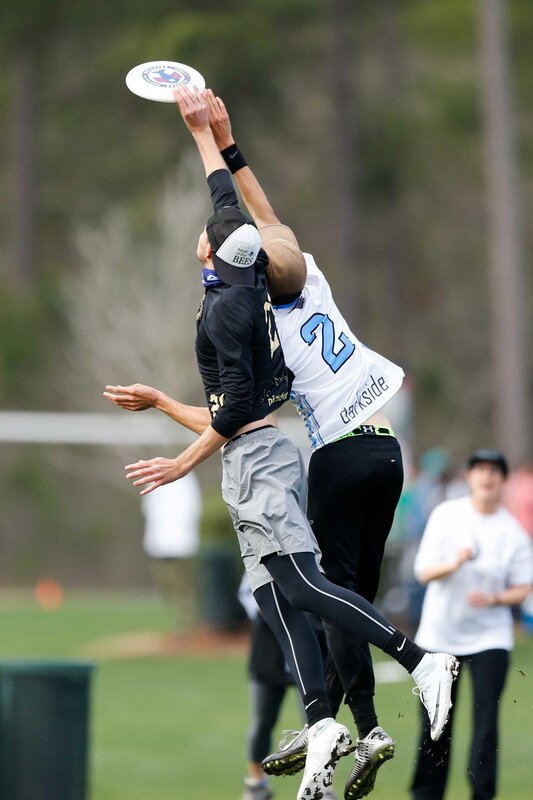 High school ultimate was child’s play to Frisbee Cat. He won a Maine state championship and solidified his legacy as he also won the YCC title for BUDA. The question “Who can stop him?” echoed through the awed audience watching his dominance. To this very day the answer still remains, “Nobody”. Studious Cat came to the University of Pittsburgh with one goal in mind. Save the Earth. Nature Cat also wanted to win a national championship. With his unstoppable play style, the team is well on their way. Injured Cat has had trouble staying on the field but when he’s out there, he is a Cat amongst kittens. Beautiful hucks that gilde through the air like a lily petal in the Caribbean breeze and brutal skies that punish his defender and cripple their soul. Frisbee Cat is good at his sport. Off the field you can meet many more Cats. Soft Cat, Patriots Cat, Film Cat and Party Cat are just a few. He loves to cuddle and gives off a sweet purrrr if you tickle his bearded chin. His loving character is contagious, and everyone loves to hang out with him. Friendly Cat is a great friend, teammate and player who wants the best for everyone. I cannot wait to see how high this cat can soar. Meeeeeeeeoww. For Noah’s 1st Birthday his parents took a celebratory African Safari. Noah being a brave and adventuring baby was always squirming out of his parents arms and trying to get a better look at the wild African Savannah. Unfortunately on a particularly bouncy caravan ride Noah broke free and was thrown from the cart. The rest of the tour, caught up in all the beautiful sights and wild life, was unaware of Noah’s disappearance until the Tour had ended. 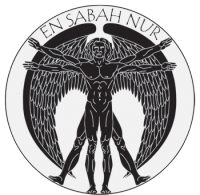 By this time Noah had surely succumbed to the elements or was eaten by a wild predator. After days of searching a body was never found. His family returned home heartbroken. Little did they know Noah was not dead, but had rather been born again. After being thrown from his car seat Noah lied in tall grass. After a few hours he was approached by a predator, surely this would be the end. A lioness pushed through the tall grass. She looked upon this strange animal and in that moment something magical happened. She did not eat the boy but instead she picked him up by his clothes and took him back to her cubs and raised him along side them. As the years past Noah grew tall and long. He learned to run fast and jump high. He learned to hunt and provide for his step brothers and sisters. They treated him as he was just another lion, just another big cat in the Savannah. 13 years after his supposed demise his parents returned for another safari trip. To there surprise there he was running among the lions. Overjoyed his parents decided they needed to bring home the feral boy. Noah returned to a confusing world, and slowly was able to adjust to normal human life, but he remained big and kept his cat like reflexes. His parents thought he needed to put his talents to use, and put him in a small Ultimate program. He crushed all the competition. He played throughout High School and spent his summers playing youth club for BUDA, every year he grew more skilled, and he was always big. When it came down to a college decisions there was really only one option. 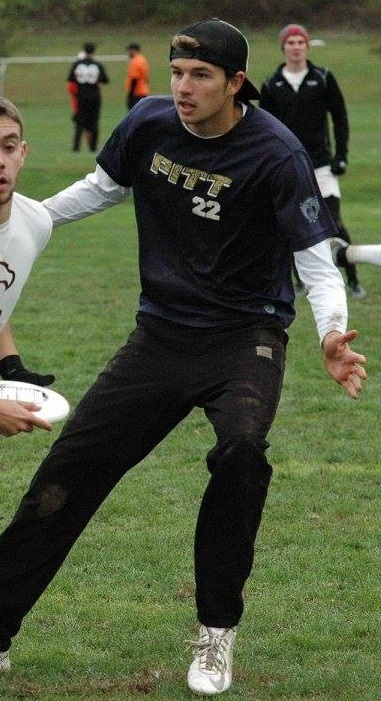 “The Program”, the University of Pittsburgh Men’s Ultimate Team. I remember first placing my eyes on Noah at his Freshman year tryouts, all anyone could think was this kid is going to be BIG. He made the team, and thus the Big Cat was born. Big Cat is a double edged sword on the field, defenders who back him feel the wrath of his beautiful downfield throws. People that try to play even with him never even stand a chance of beating him in the air. The crazy thing about Big Cat is that he is just getting started, he is going to get smarter, stronger, and faster. But he will forever be BIG. Noah Robinson has been unlucky with injuries throughout his college career, keeping the talented cutter off the national radar. Fortunately for Pittsburgh, he was available for the semifinal of Nationals against Carleton. This was Robinson’s coming out party. The 6’5″ junior tortured CUT defenders in the air and showed he’s more than capable as a thrower, finishing the game with a staggering four goals and three assists against the top-ranked team in the country. Robinson had been putting together a strong tournament all weekend, but the CUT game was a true breakout performance, the kind that had fans leafing through their programs to find number 21. Pitt hasn’t had an elite big man since 2013 with Tyler DeGirolamo; hopefully Robinson can stay healthy and on the field for Pittsburgh in 2019 to change that.